Last November, Nintendo fans around the world got some big news. The Wall Street Journal reported that Nintendo was close to an agreement to bring the Super Mario Bros back to the big screen. Primary among the candidates was Illumination, the Universal-owned animation studio. A few days ago, the story was stoked again by Nintendo's president, Tatsumi Kimishima. As reported on GameInformer.com, Kimishima hopes to reach an agreement soon, and foresees a film released in time for the 2020 Tokyo Olympics. If the deal goes through, it would be incredible news. Nintendo has been protective of their characters since the infamous 1993 live-action Super Mario Bros. Critics and audiences alike detested it, and the movie grossed only half its budget. It is now held up as a cautionary example about how films based on video games are doomed to fail. That trend has not changed much after twenty-five years. Movies like Prince of Persia and the more recent Assassin's Creed falling into obscurity. However, The Angry Birds Movie from 2016 managed to bring in almost $350 million from a $73 million budget. Some profit is still to be had...sometimes. A Super Mario Bros. movie has a better chance of succeeding, though, than many other titles. While some games like Prince of Persia may not be widely-known, Mario's reputation embedded deep in popular culture. Mario also has the advantage of relevance. Angry Birds might have been more successful, but struggled with connecting audiences to a fad game that had peaked four years prior. Meanwhile, Nintendo released Mario Odyssey this past year, and the hype has been strong. 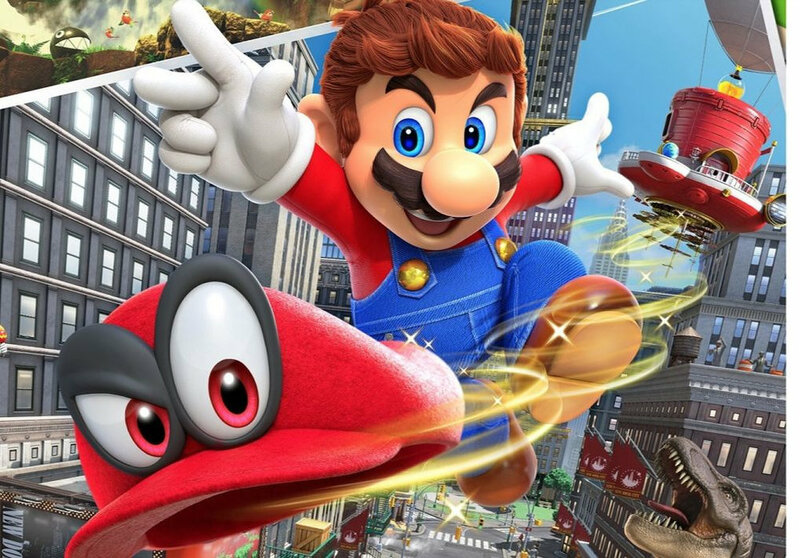 Mario Odyssey has been a massive commercial success, and earned several awards. Not to mention that the Mario franchise is more kid-friendly. It's easier to sell tickets to a general family audience than to a niche adult market. If Nintendo partners with Illumination, the chances of box office success grow stronger. Illumination has proven they can do one thing really well: make high-grossing blockbusters. Their Despicable Me 3 is set to be the highest-grossing animated movie of 2017, and the fourth-highest grossing film of the year. They're also no strangers to adapting others' works. Illumination released The Lorax in 2012, and is currently finishing up a new version of How the Grinch Stole Christmas!. Not to mention the ties that Nintendo already has with parent company Universal. For two years already, Universal has held a license to build theme park attractions based off of the Mario franchise. A film license would only solidify that connection. If the deal goes through, and the final product ends up doing well, Universal may hit a goldmine. Their plan for a monster-based cinematic Dark Universe hit a snag in 2017... but if they land Nintendo movies, that would be a powerful way to compete with the likes of Disney and Warner Bros. The current media business revolves around licensing and consolidation after all. Disney has made some power moves with Lucasfilm and the recent 20th Century Fox purchase. Universal could definitely parry well with a Nintendo deal... but "could" is the keyword here. Strategy is important in show business, but making good film is necessary for execution. There's a lot of excitement, and it's now a waiting game to see what plays out.